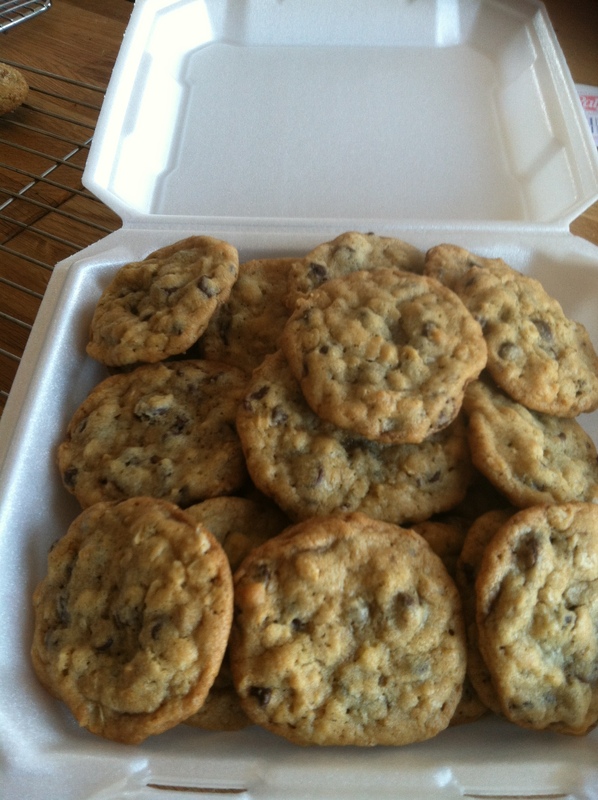 This recipe made me realize that I was going about finding the perfect oatmeal chocolate chip cookie recipe all wrong. I had spent too much time looking for oatmeal cookie recipes that I could add chocolate chips to, but those tended to be too dense and lumpy. All along I should have been looking for chocolate chip cookie recipes that incorporated oatmeal. This recipe from King Arthur Flour covers it all with the perfect texture of crispy, chewy decadence. The search is over, love is definitely right here before my eyes. Makes 20 to 100 cookies, depending on size. Add the egg, egg yolk, and vanilla one at a time, beating well after each. Decide what size cookies you want to make. A muffin scoop (1/4 cup) will make 20 large, palm-sized cookies. A tablespoon cookie scoop (4 teaspoons) will make 50 medium (2 3/4″ to 3″) cookies; and a teaspoon cookie scoop (2 teaspoons) will make 100 small (2 1/2″) cookies. Bake the cookies for 12 to 15 minutes, until they’re a light golden brown, with slightly darker edges. Their middles may still look a tiny bit shiny; that’s OK, they’ll continue to bake as they cool on the pan.